Help DARN IT ALL fill the calendar!!! Darn It All would like to set up a challenge: for both ourselves and our fans. We'd like to fill this October with back-to-back gigs in the Connecticut/New England area. Clubs, Pubs, Festivals, Coffee Shops, Restaurants, Living Rooms, Basements, Backyards, Bookstores, Corporate Events, Conventions; you name it, we'll play it. We have 3-4 hours worth of material and can play both quietly and loudly: everything from broken-down acoustic sets to full-on festivals and/or rock venues. 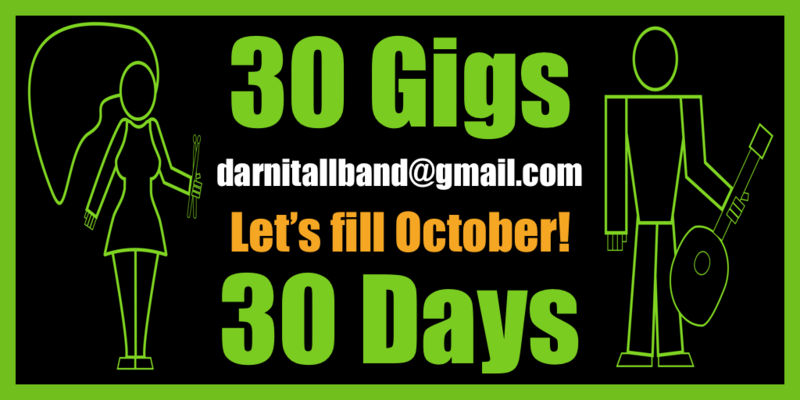 Please send all offers to darnitallband@gmail.com or contact us through social media! Today is the day we finally release a quality sounding single with our up-to-date sound as a "power-duo", if you will. Yes, we recorded multiple guitars to get a bigger sound, but they're all playing the same thing and we pull it off swimmingly live, so BLEH! 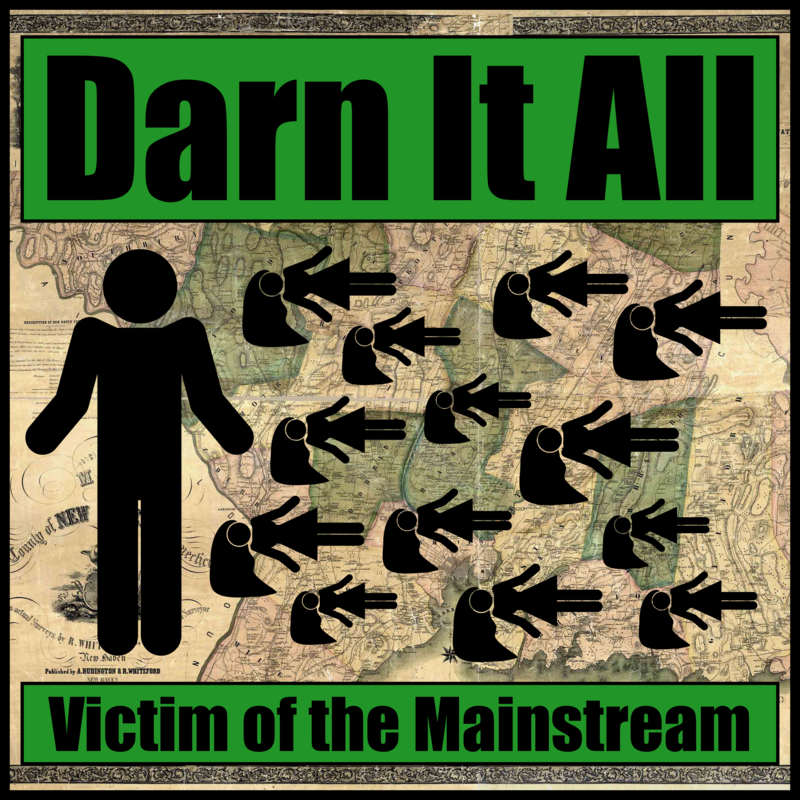 Anyway, please head over to our Bandcamp page for a FREE Download. We will be releasing many singles this year and they will all be free for you to download and spread around. Eventually, we will have the single available here on our website, but for now click here, download and have a blast! 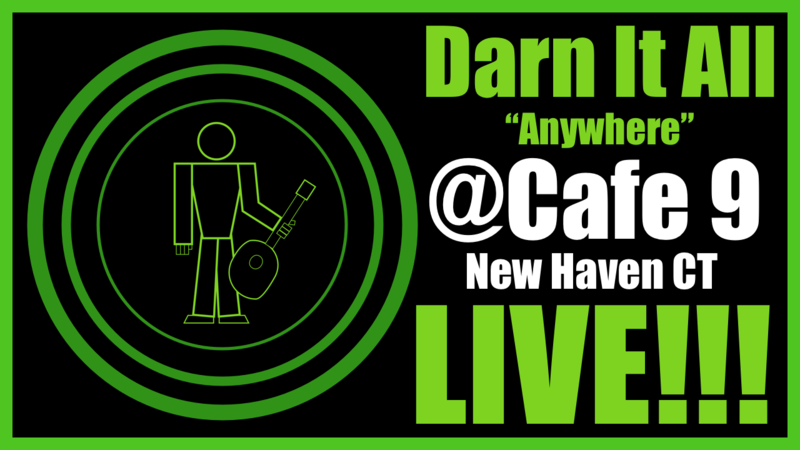 Last Minute Show at Billy Beans In Danbury CT! Come out and watch us play our new songs as a "Power-Duo" as well as a bonus set as a 3-piece with our good friend Ryan DaSilva on drums. Also, Ryan will be deejaying later in the night. It's will be raunchy, raucous and deliciously rancorous! When We're Sixty - LIVE!